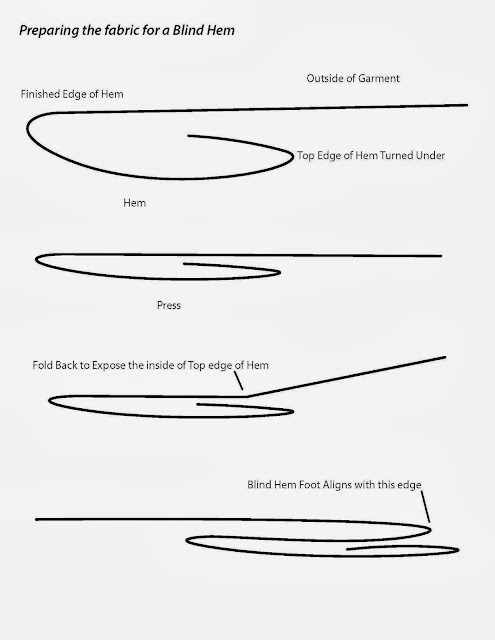 Stitch Coach: Blind Hem Fabric Folding Tutorial! Sewing Machine Feet from A to Z (It's free y'all!) and you'll see what this is all about. I hope this helps! Happy Sewing you guys! Thanks so much for the illustration. Since the piece of fabric used in the demo was just that - a piece of fabric and not an actual garment needing a hem - it was a little confusing about the process of folding the garment. This makes it perfectly clear. I'm printing this out and putting it in an envelope with my hemming foot!! Thanks for the encouragement to post more. I've been in treatment for breast cancer this year and really just focusing on my treatment and recovery. I've developed a new Craftsy class that just shot in November, so i've been working on that, I hope you like it. Let me know if you'd like to review the new class and I'll get the info to you when it's available. Thanks again for the feedback, I really appreciate it! ps. this will explain my super short new brunette hairdo in my new class… I didn't lose my mind, just my hair! Thank you for this...I was watching a video of someone doing a blind hem (I'm a new sewer)(AND I am taking your Craftsy Pattern class right now)...but I was watching the blind hem video and was 'what the what???'... I just couldn't get what was happening with the fabric when she went to sew it - this illustration made it crystal clear... So thank you so much. So sorry to hear you are being treated for breast cancer. I hope all is going well with your treatments and recovery - wishing you the best. And I am looking forward to your newest Craftsy class - hope to see it soon. Thanks so much I'm doing so much better now, and am working on yet another class for the fall, I really love doing the videos, because I love answering the questions. Glad you liked this illustration! This is VERY helpful--thank you! Something I can just post up at my sewing station, instead of sifting through lengthy (albeit valuable!) 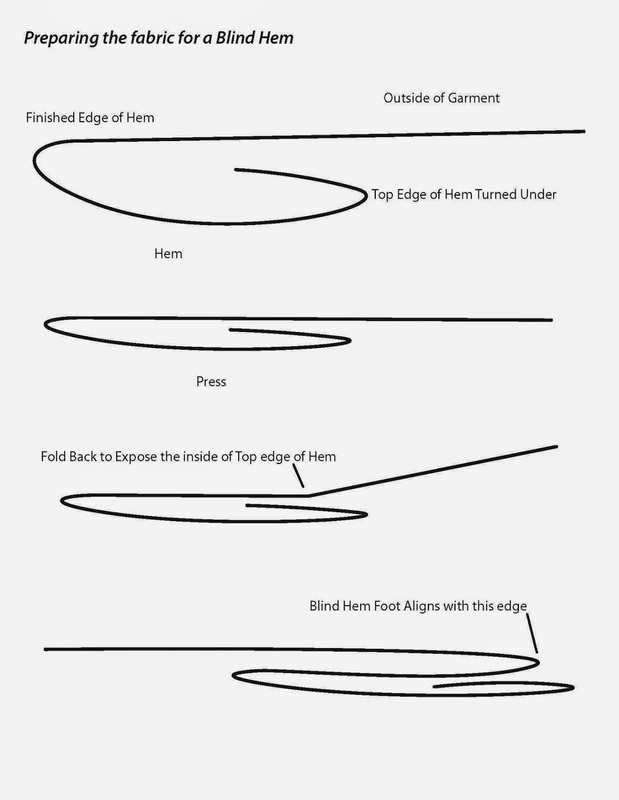 full tutes on blind hems. I don't do them often, but I've done them before, so just a basic reminder of the stacking process is all that's needed at this point. Thanks so much!